This classic confection definitely had me at aloha. 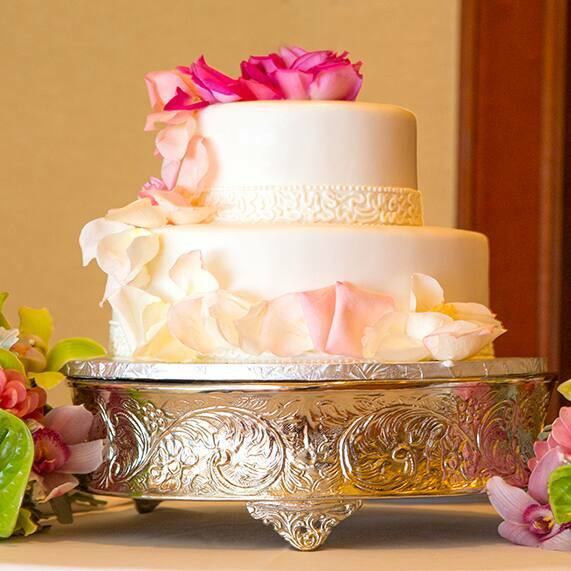 Sprinkled with pink ombre rose petals, this wedding cake was the perfect dessert for a ceremony at the island paradise of Aulani, A Disney Resort & Spa. Sweet and simple, but oh so naturally beautiful- just like Hawaii!